Night diving; dark, cold and full of the unexpected. But that's why we love it! However when you add CROCODILES to the mix things start to get interesting! 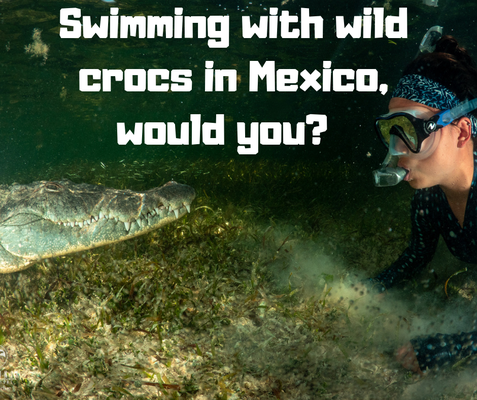 Mexico has been full of critters and creatures for us, and we recently went swimming with saltwater crocodiles in Banco Chinchorro, so it's not like we are afraid to get in the water with crocodiles (as mad as that sounds). 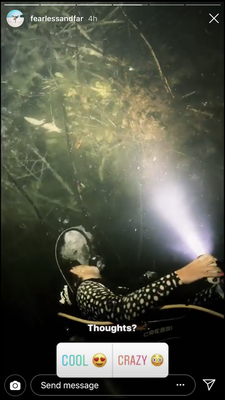 So when Koox Diving challenged us to a new kind of croc diving in Tulum, Mexico, you better believe we jumped right in! 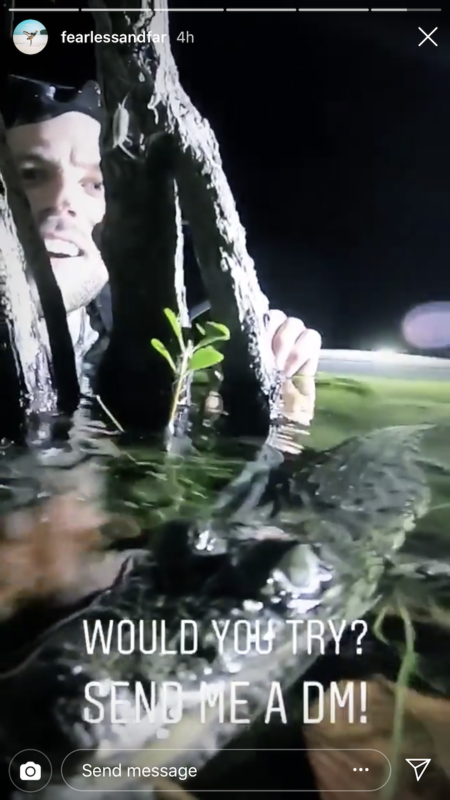 Is it safe to go diving with crocodiles? Yes. These are little baby crocodiles who pose no threat to humans. And as long as humans don't go to close to them or try and touch them we pose no threat to them either. 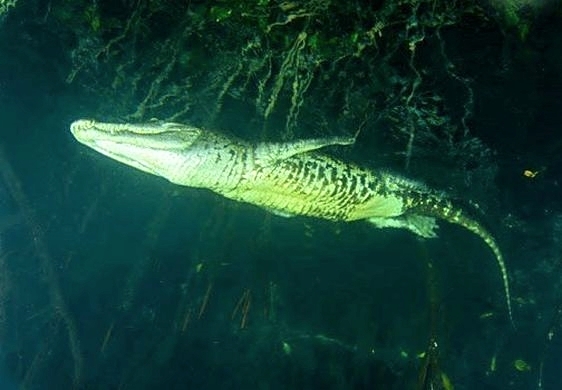 Koox Diving take no more than 6 people at a time and you will be in the good company of a crocodile guide. 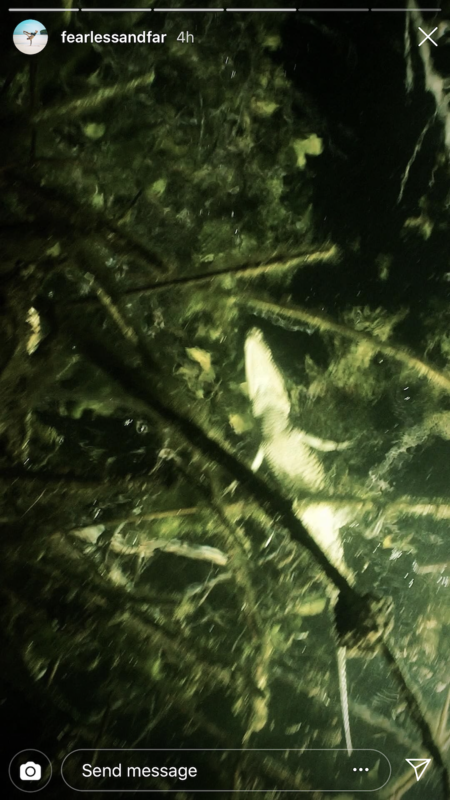 If you are thinking of diving with American Saltwater crocodiles in Banco Chinchorro this is the article you are looking for. 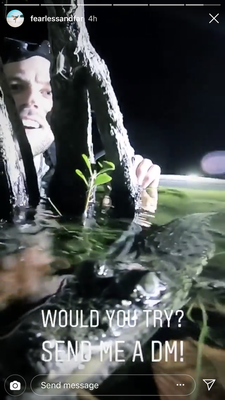 How close do the crocodiles come? They are very small and stay by the mangroves, they do not purposely come close to us - in fact they are so much more scared of us as we are of them. However you will still be able to come within a meter of them and get to see them up close, if they feel comfortable with your presence. Is it scary to dive with crocodiles? These cuties? No way! It's super cool, and really they aren't any bigger than some of the fish you swim with in the ocean! It's such an amazing experience! The crocodiles stay on the surface hunting for small prey like flies and frogs. How does the dive go? 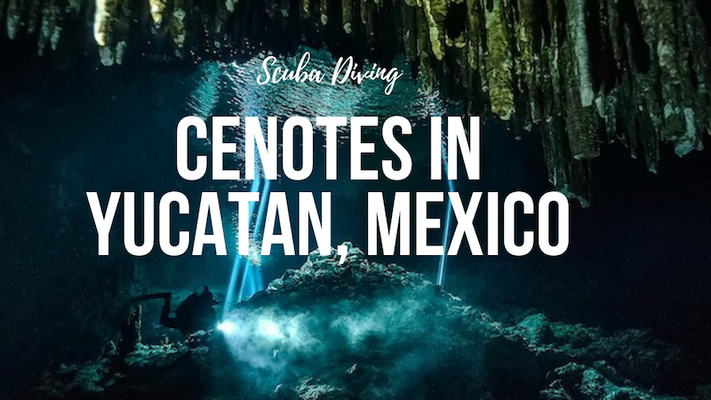 The dive is in an open cenote under the stars, at the entrance of the Sian Ka’an Biosphere. Here you will kit up into your dive gear (you may want to layer up - it can get cold in the cenotes at night) and walk to the cenote. We climbed in slowly so as not to disturb any of the animals near by and started swimming along the surface with a fully inflated BCD until we found some teeny crocodiles to dive with. 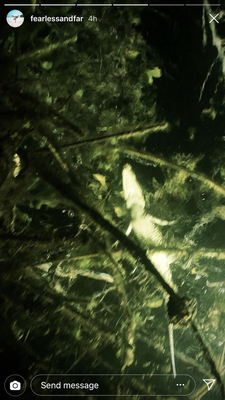 Only once you find the crocodiles will you actually descend into the cenote to observe them from above. You may spend a lot of the time on the surface and not a lot actually diving - so again make sure you bring enough layers to keep warm. The dive can last a few hours if you want, you wont be using much air, so if you are having a good time and seeing a lot of crocs you can spend a good few hours under the stars. Once you are ready to go Koox will take you back to where you are staying. As we mentioned before it can get cold so we recommend some warm layers and a full wetsuit you will also need a scuba dive flash light although you can hire one from the dive centre along with any other scuba gear you need. Check out the best female scuba equipment here. Absolutely ! 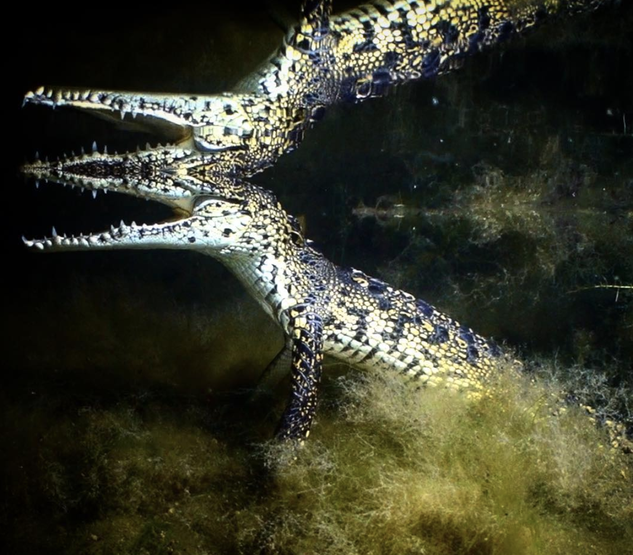 Where else in the world can you dive with crocodiles at night? Tulum is famous for it's cavern and cave diving so this gives you the opportunity to do a new kind of diving - croc diving. 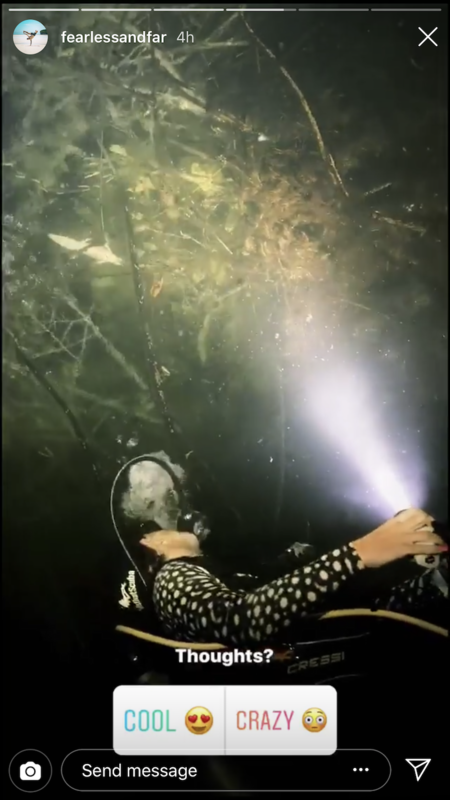 Other than that it is simply stunning to float in a cenote at dark where all you can see is the stars above you, it is a very calming and awe-inspiring experience!